Whether you’re a pro or a weekend warrior, it’s important to choose a racquet that suits you when playing tennis or racquetball. Beginners should look for a tennis racquet with a forgiving power frame, while fast hitters may want a control frame for easy manipulation. At eBay, you can shop tennis equipment online and stock up on all your racquet sports need. Stash your racquets, water bottle and tennis balls in a Wilson tennis bag to keep them safe as you go to and from games. Want to set up a court in your own backyard? 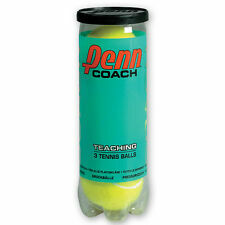 Pick up a tennis ball machine to practice your swing. Similar to tennis racquets, the size of the squash racquet you choose will determine how you play your game. Choose a large head for more power and a smaller head for more control. Additionally, you’ll want the ball you play with to match your experience. The most common squash balls are blue, red, single yellow and double yellow. Stick to blue if you’re a beginner and work your way up to double yellow. At eBay’s online tennis store, you can find squash balls from brands like Dunlop, a trusted squash equipment manufacturer. It’s easy to set up in a badminton court in your own backyard—all you need is a net, some badminton racquets and a shuttlecock or two. 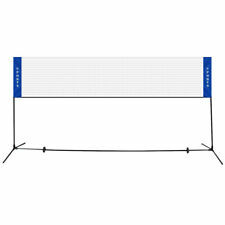 Standard badminton nets are 5 feet tall and 2½ feet deep. You can also purchase a badminton set, which comes ready with everything you need for a game. Whether you’re playing outdoors or in an indoor court, it’s also important to have proper shoes. Look for badminton shoes with plenty of traction and grip to allow you to move freely and easily. eBay’s racquet sports store has pickleball paddles and high-quality equipment like the Babolat Pure Drive. Browse brands like HEAD and Yonex for high-quality shoes, racquets and more. Browse eBay for a selection of tennis clothing to dress the part for your next match with some new tennis skirts or a pair of Nike tennis shoes. When buying apparel and tennis gear online, make sure it is comfortable and unrestrictive—no matter how nice an outfit may look, you won’t want to wear it if you can’t play comfortably! And don’t forget to guard against injuries and strain with protective gear like safety glasses and gloves.